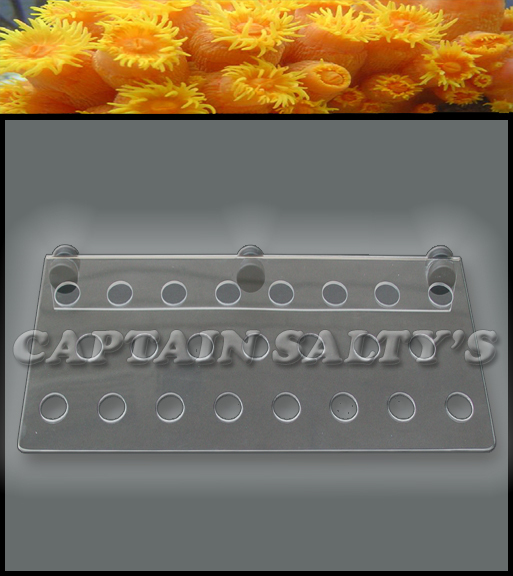 Captain Saltys Original Invisible Extra Large Coral Reef Frag Racks are tested to the extreme and are designed to allow beneficial light to areas where the light may not penetrate when using racks made from other materials. Furthermore, our design has been developed and tested to allow increased water flow to your coral cuttings while they heal from the fragging process. 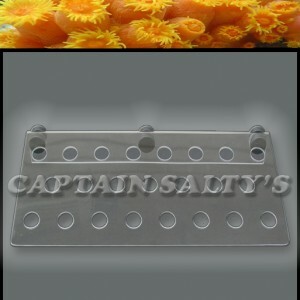 They are easy to clean and because we only use high strength magnets, they will not fall over. In addition to high strength, our magnets have a rust proof barrier that comes straight from the factory. However, because we do not want to take any chances we have added another coating to the magnets to prevent rust. That is not just one rust barrier that is two! In addition, we have applied a coating that not only resists rust but also prevents scratching to the glass or acrylic of your aquarium. 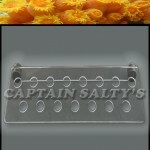 Because of the very high strength magnets included on Captain Saltys Original Invisible Extra Large Coral Reef Frag Racks, a few precautions should be considered before handling. 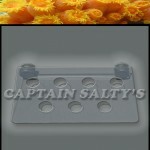 That being said, it is very easy to use Captain Saltys Original Invisible Extra Large Coral Reef Frag Racks. The magnets look like they will last these racks are great! !